You may make a donation to King Avenue church by debit or credit card at our onsite kiosks. Give by Kiosk is a modern, convenient way to make offerings and respond to special appeals. It’s faster and more secure than having your checks manually processed and it’s easy to use…if you know how to use an iPad, you can use Give by Kiosk. Simply tap the touch pad screen to choose the fund you want to give to and then enter the amount you want to contribute. Once you swipe your credit or debit card and complete your transaction, you can print or email yourself a receipt on the spot. Even better, print a donation slip that you can later place in the offering plate during services. Kiosks are located in the back of the Fellowship Hall and in the Milling Area. 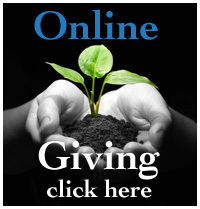 You can manage your giving online. Giving online is easy and allows you to set up automatic recurring contributions with a debit or credit card and view your complete online giving history from anywhere you have access to the Internet. If have any questions, contact Charlene Dublin at charlene@kingave.org or (614) 424-6050.